Cheap Coupon is a browser add-on which is supposed to display advertisements matching your interests and search terms. The program is based on the JustPlugIt platform, which was used to create RightCoupon, LionSales, SaleMaker, SurfKeepIt, and many other browser add-ons aimed at enhancing your shopping experience. The majority of JustPlugIt programs have their official websites. Cheap Coupon used to be promoted at cheapcoupon.info, which is no longer working; nevertheless, the program is accessible to computer users on other websites. 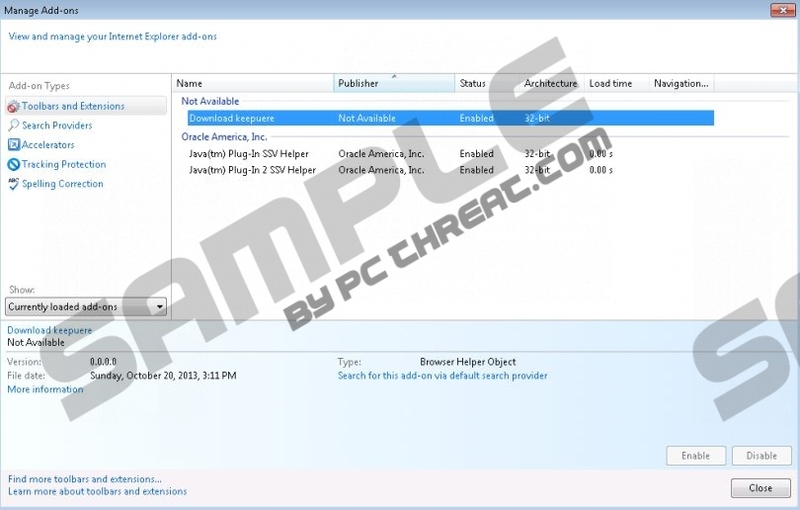 The Cheap Coupon browser add-on is bundled with other programs promoted on freeware websites. If you like trying out various free programs, you should bear in mind that your operating system could become afflicted by malicious programs at any time; hence, you should keep the system protected against malware and spyware. Cheap Coupon is supposed to provide you with various pop-ups, including coupons, web banners, and interstitial advertisements. Cheap Coupon is not liable for the content of the advertisements or for your interaction with the owners of the ads. It means that Cheap Coupon can be used by any seller or service provider, including those who seek to deceive unsuspecting computer users. This type of advertising is typical of advertising-supported browser add-ons, and you should be alert to the possibility of being provided with some malicious offers or recommendations. It is highly advisable to ignore pop-ups advertising software updates, quizzes, online games, and other seemingly harmless offers, because they may be aimed at deceiving you. The Cheap Coupon browser add-on may be monitoring you, which is why you should remove it from your computer as soon as you can. The program may be recording your clicks, impressions, search terms, browsing history, and other non-personally identifiable information, which is collected for various purposes. The developers of the program may share information about you with third parties, so, if you want to protect your online privacy, do not hesitate to remove Cheap Coupon from the computer. As regards the removal of Cheap Coupon, we recommend that you implement a reputable scanner, because your operating system needs protection against malware and spyware. Cheap Coupon is not a computer infection, but it should not be present on your PC. There are many other threats that are capable of stealing personal information and impairing the performance of the system, and you should take measures to prevent data loss or system glitches. Hence, we suggest using SpyHunter, which easily removes Cheap Coupon and safeguards the system. After uninstalling Cheap Coupon, you should make sure that all the components of the unwanted program are deleted. To do so, use the scanner available below. Quick & tested solution for Cheap Coupon removal.